In January, 1969 a new round of four Space Shuttle study contracts focused the work on the basic mission of resupply of a space station. This began the argument between the budget people and the designers about the size of payload bay and the configuration of launch vehicle and Shuttle and therefore, what the cost of the program would most likely be. All of this was going on while the Apollo Program continued to blaze new trails to the moon. The four Phase A study contractors were North American Rockwell, Lockheed, General Dynamics and McDonnell Douglas. Phase B contracts finally focused the Shuttle designs. The winner was North American Rockwell but, eventually, many aerospace contractors got a piece of the Space Shuttle pie. 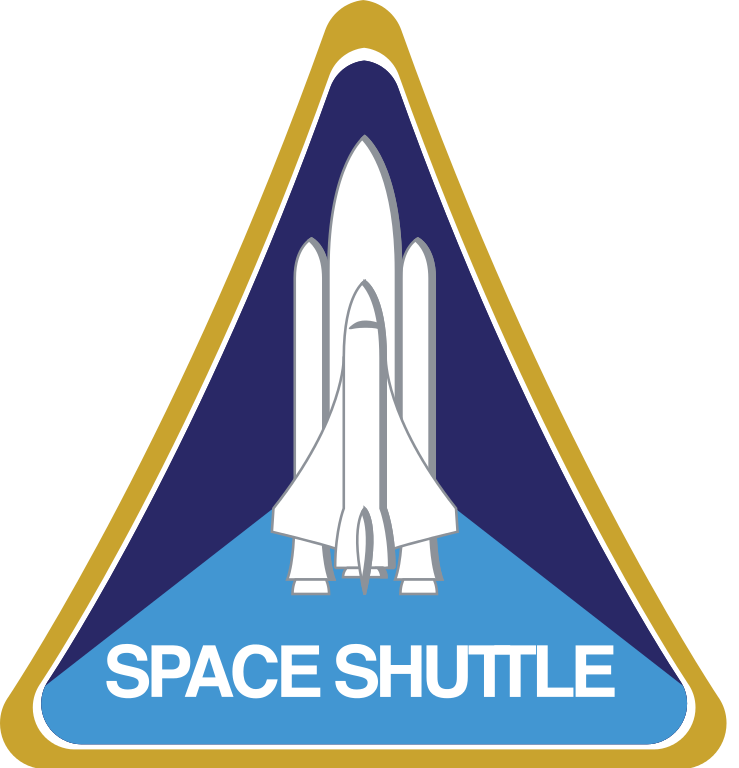 On January 5, 1972 President Nixon approved the Space Shuttle Program which was officially called the Space Transportation System (STS). It lasted nearly 40 years from January 5, 1972 to August 31, 2011. The first Shuttle flights were controlled out of MOCR 1 now called Flight Control Room (FCR-1). STS-1 kicked off the program with the first launch on April 12, 1981. Flights continued out of MOCR 1 (FCR-1) while MOCR 2 (FCR-2) began Shuttle flights with STS-5 on November 11, 1982. 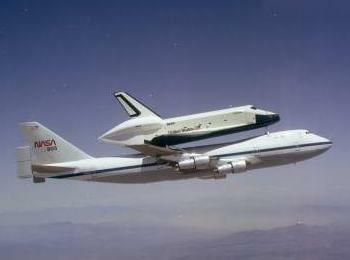 Both MOCRs supported Shuttle flights. The last flight out of MOCR 2 (FCR-2) was STS-53 on December 2, 1992 almost exactly ten years later. There were a total of 22 Shuttle flights out of MOCR 2 (FCR-2) including the STS-51-LChallenger accident. 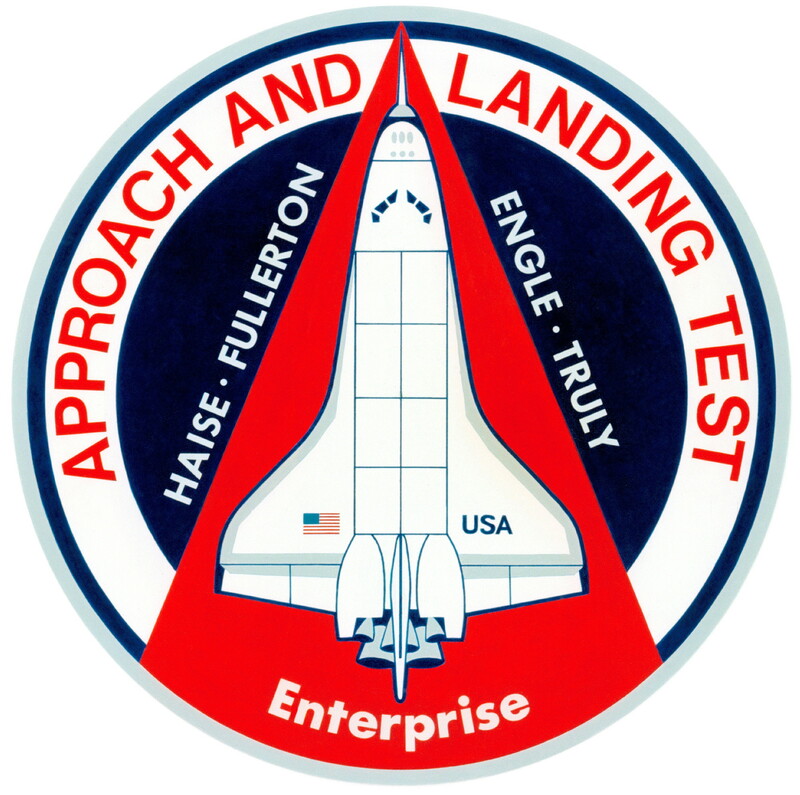 The Approach and Landing Test (ALT) Program included 16 separate tests of Orbiter Enterprise in three phases; "taxi-test", “Captive” (both Inactive and Active) and “Free Flight” tests. 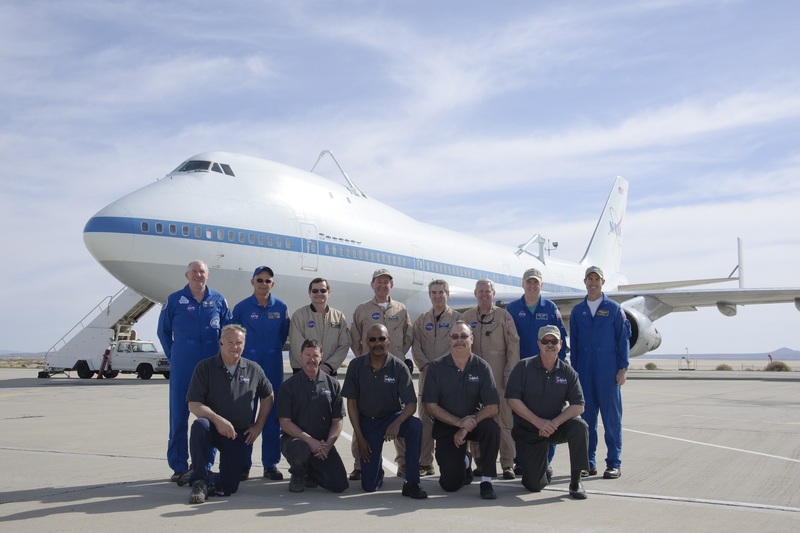 All the tests utilized the highly modified Boeing 747 called the Shuttle Carrier Aircraft (SCA). While at the NASA Dryden Flight Research Center, Enterprise was evaluated for a variety of ground and flight tests intended to validate aspects of the Space Shuttle program. The initial nine-month testing period from January 31,1977 to October 26, 1977 included a maiden “flight" on February 18, 1977, atop the Boeing SCA to measure structural loads and ground handling and braking characteristics of the mated system. Ground tests of all Orbiter subsystems were carried out to verify functionality prior to atmospheric flight. 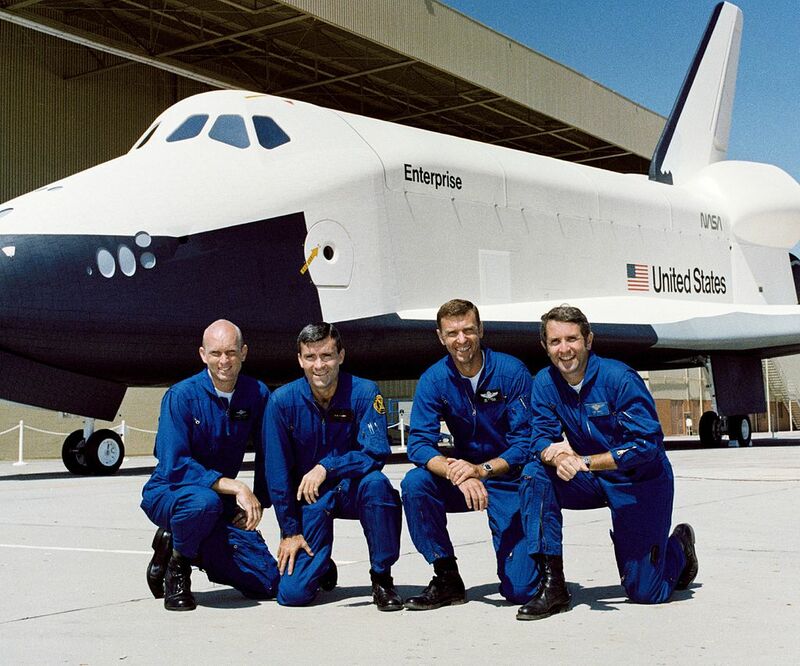 The mated Enterprise/SCA combination was subjected to five “Captive-Inactive” flights meaning the Enterprise was attached to the SCA for the duration of the flight and configured in an unmanned, powered-down status. These tests were designed to test the flight and handling characteristics of the SCA aircraft while it was mated to the Orbiter Enterprise. As with the taxi tests, this did not involve the Orbiter beyond it being mated to the SCA, so it remained unpowered and uncrewed. The first three flights were flown with a tail cone placed at the end of Enterprise's aft fuselage, which reduced drag and turbulence when mated to the SCA. The purpose of these test flights was to measure the flight characteristics of the mated aircraft/Shuttle combination. After all the tests, Enterprise then spent three and a half months on the ground as her flight systems were activated, tested, and prepared for the manned, Captive-Active Flights. The final phase of the flight test program involved free-flights. These saw Enterprise mated to the SCA and carried to a launch altitude, before being jettisoned by the use of explosive bolts to glide to a landing on the runways at Edwards AFB. The intention of these flights was to test the flight characteristics of the Orbiter itself, on a typical approach and landing profile from orbit. 8/12/77 First “free flight” with Fred Haise and Gordon Fullerton. 10/12/77 Fourth “free flight” with Joe Engle and Richard Truly and flew Enterprise to her first landing. These tests were monitored in MOCR 2 which was modified for the ALT program in August, 1976 with the installation of the Approach and Landing Test Data System (ALTDS) and completed in December. After all the tests were completed, the system was deactivated and all the equipment removed from MOCR 2 in order to prepare for the operational phase of the Shuttle Program. 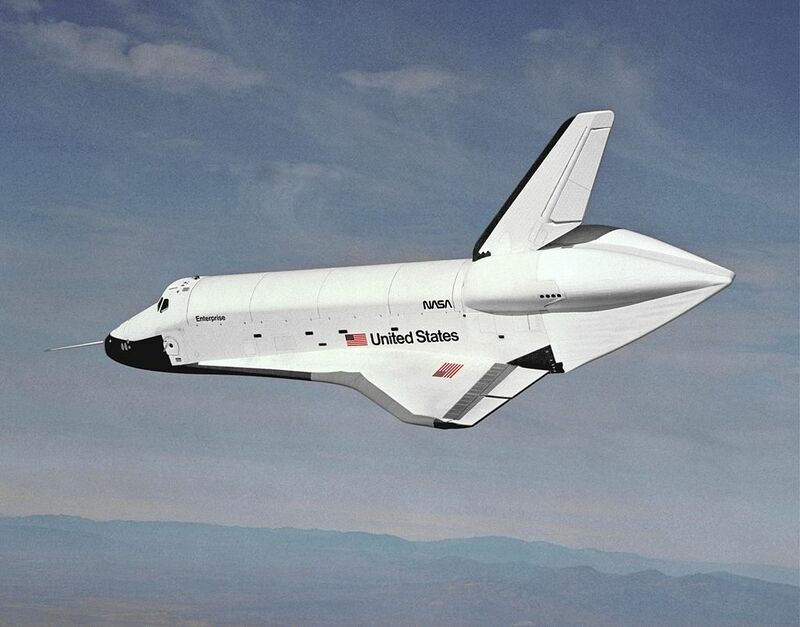 Following the free-flight tests, Enterprise was prepared for ferry flight tests which were intended to ensure that the SCA/orbiter configuration was viable for flights of longer duration. In March, 1978, the Enterprise was flown to Marshall Space Flight Center in Alabama and taken to the Dynamic Structural Test Facility, where the complete stack including the Enterprise, external tank and solid rocket boosters were subjected to vertical ground vibration tests, assessing the structural responses to a number of scenarios. Then, in April, 1980 the Enterprise was flown to the Kennedy Space Center in Florida, to fit check the facilities at LC-39A and the procedures to be used in launching the Shuttle. On December 12, 2011, ownership of Enterprise was officially transferred to the Intrepid Sea, Air & Space Museum in New York City. Enterprise was listed on the National Register of Historic Places on March 13, 2013. The manned orbital flights started on April 12, 1981 with astronauts Bob Crippen and John Young. It occurred on the 20th anniversary of Yuri Gagarin's space flight. The second floor MOCR 1 was now called Flight Control Room (FCR) 1 and was readied to support the first Shuttle flights which it did through STS-4 in July, 1982 and then again in 1984. MOCR-2 was deactivated after the lunar landing missions and reconfigured to support the Shuttle ALT program and then the manned Shuttle flights starting with STS-5 in November, 1982. It then supported a total of 22 flights including six classified DOD flights up to when the MOCR 2 (also now called Flight Control Room 2 (FCR-2) was deactivated. The last mission flown from MOCR 2 (FCR-2) was STS-53 in December, 1992. 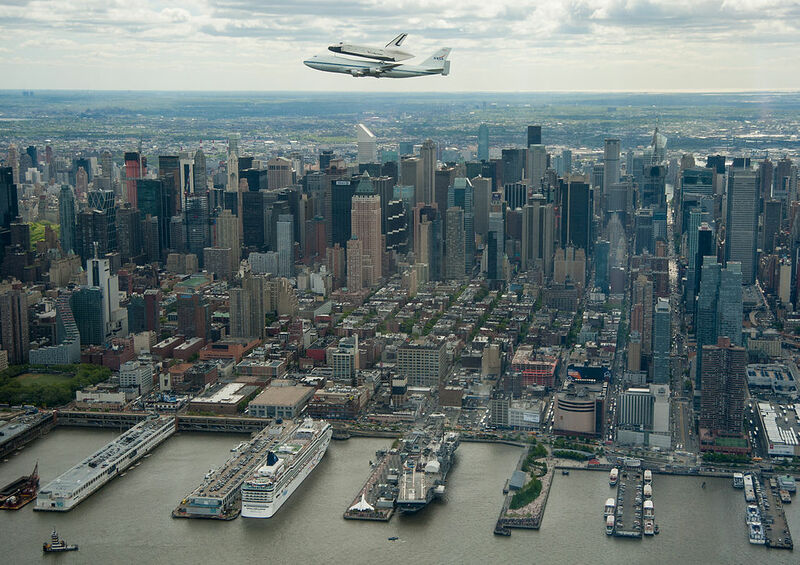 The control of the other Shuttle flights shifted back to MOCR 1 (FCR-1) throughout the program including those that supported flights to the International Space Station (ISS). The final flight of the Space Shuttle program was STS-135 on July 8, 2011. The Space Shuttle program formally ended on August 31, 2011. In the course of 135 missions flown, two Orbiters were destroyed with the loss of 14 astronauts. STS-51-L Challenger was launched on January 28, 1986 and was lost 73 seconds after liftoff; it was controlled out of MOCR 2. STS-51-L Columbia was lost approximately 16 minutes before its expected landing on February 1, 2003. It was controlled from MOCR 1 (FCR-1).